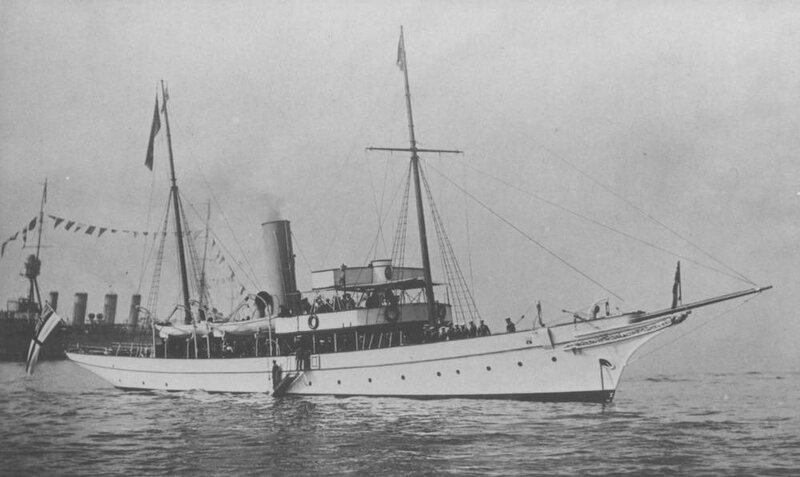 The steam yacht Adele was built by Hawthorne and Co of Leith, Scotland, in 1906. She was employed in private ownership until 31 May 1915, when she was purchased by the Commonwealth Government for £10,750 from the estate of Henry Dutton of Kapunda, South Australia. 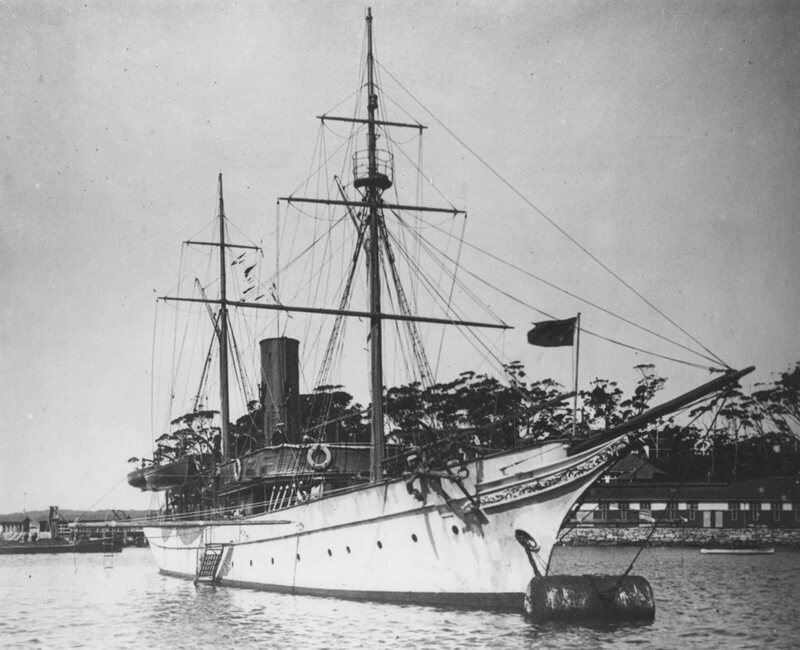 She was subsequently commissioned in the Royal Australian Navy (RAN) as HMAS Franklin, named in honour of Sir John Franklin, naval officer, explorer and one time Governor of Tasmania. 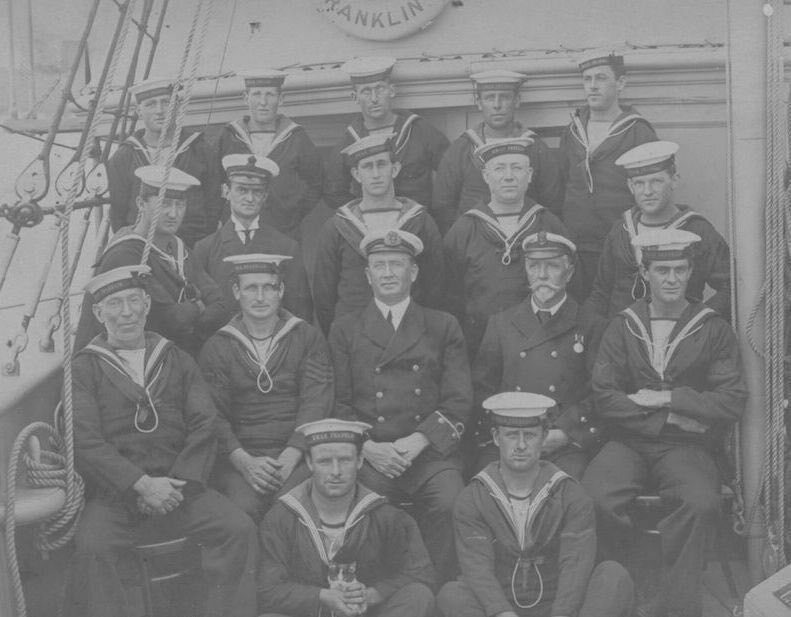 Members of Franklin's ship's company, circa 1915. After serving as a tender to the RAN College, Jervis Bay, Franklin was sold out of Service on 18 September 1922. In June 1924 she was transferred to the Administration of the Mandated Territory of New Guinea where she was subsequently employed as a Government yacht until 1932 when, for reasons of economy, she was laid up at Rabaul (New Britain). Franklin was then sold on 7 December 1932 for £826 to Mr WL Buckland of Melbourne, who refitted her as a private yacht for ocean cruising. Later she was on-sold to Mr CH Relph of Sydney and she was moored for some years in Rose Bay, Port Jackson. At the outbreak of World War II the vessel was again requisitioned by the RAN, and commissioned as the examination vessel HMAS Adele on 24 October 1939 under the command of Temporary Lieutenant Philip J Sullivan, RANR(S). In that capacity she saw service in Darwin during late 1939 before being relocated to Sydney in mid-1942. On the night of 8 June 1942 Adele sighted gunfire flashes south east of Port Jackson, which turned out to be the Japanese submarine I-24 shelling Sydney. On the evening of 7 May 1943 Adele was performing duties as a stores carrier when she was wrecked on a breakwater off Port Kembla, Wollongong, NSW. 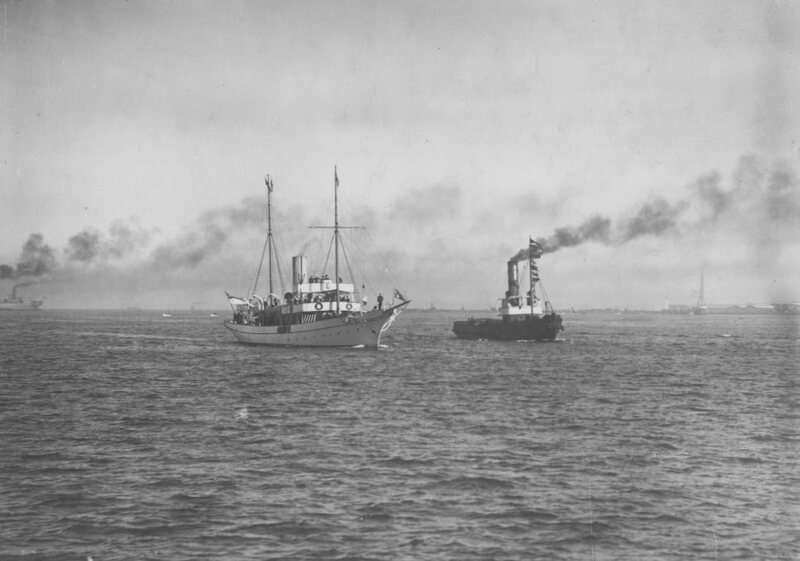 HMAS Franklin performing the duties of Royal Yacht in June 1920.